This scholarship is awarded to the "Most Complete Player" as selected by the B.C. High School Boys Basketball Association Scholarship Committee. The annual AAAA Boys' Provincial Tournament takes place in March each year and brings together teams from all corners of the province. In this way, the Quinn Keast Foundation extends its support for the education of graduating seniors throughout B.C. Adam has received several all-star awards, including the Legal Beagle Tournament at Terry Fox and the Western Championship in both Grades 11 and 12. 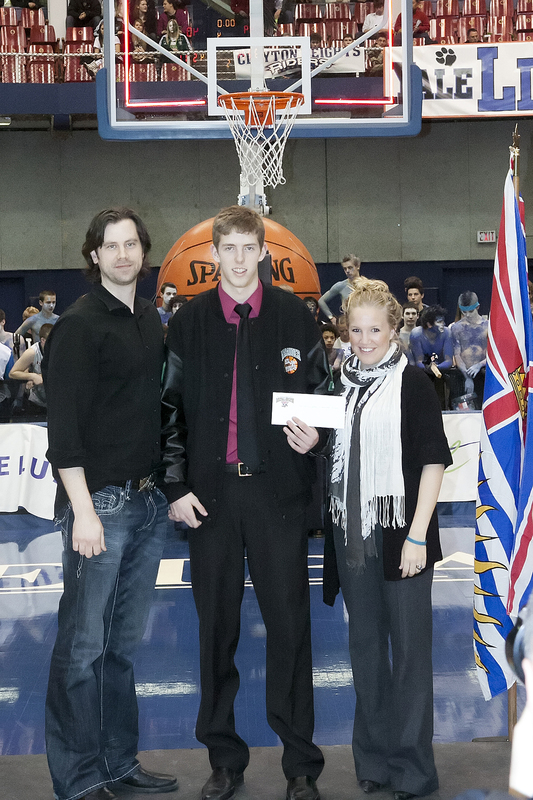 He was also part of the Semiahmoo Senior Boys team that won the RCMP Tournament in his Grade 11 and 12 years. In addition, Adam also received first-team all-star recognition at the RCMP Tournament and the Emerald Tournament. In the community, Adam has coached a local elementary school Grade 7 Boys team for the last two years, as well as coaching with a club, and refereeing Grade 8 and 9 games. Owen has received several all-star awards, including the Legal Beagle Tournament at Terry Fox and the Snowball Tournament in Abbotsford. Coach Harry Parmar describes Owen as "dedicated, hardworking and leads his team through example on and off the court. he is always there for his teammates and is very supportive when times are tough. He shows a lot of initiative and demonstrates a great amount of responsibility." Owen averaged just under 11 rebounds per game as a forward for the Kelowna Owls. Not only does Owen contribute on the floor for the Owls, but he also coaches and referees with the Kelowna Minor Basketball Association, was an assistant coach with the Junior Heat Program, and coached at a local elementary school in Kelowna. Further, Owen is a member of the Canadian Centre of Performance. Since grade 9, Owen has been on the honour roll, work ethic list, and has received the Passport to Education each year. Josh is frequently the hardest working player on the court, never taking a defensive possession off. Greg Meldrum, Josh's coach for four years at West Van, is most impressed by Josh's "never say die attitude." On the floor, Josh averaged 15 points, 4.5 rebounds and 7 assists per game, and his leadership has been evident as he mentors younger players on the team. Further, Josh coaches with the West Vancouver Basketball Club where he helps coach boys and girls ages 6-14. Josh has a bright future ahead of him as he sets out to play CIS basketball. Character is as important off the court as it is on the court. Curtis' coach, Edward Lefurgy, describes his player as "among the most courageous and honest young men" and has "witnessed first hand Curtis emotionally and physically lifting up his teammates who need support." He has a strong dedication to the game of basketball and school, and has volunteered at several basketball camps and refereeing elementary athletes. Curtis' competitive drive is something that both of his coaches valued. Coach Langton, in his 33 years of coaching, has never seen a more competitive athlete while still maintaining leadership skills and a positive attitude- "his determination and willingness to leave all of his effort on the floor is simply very rare." 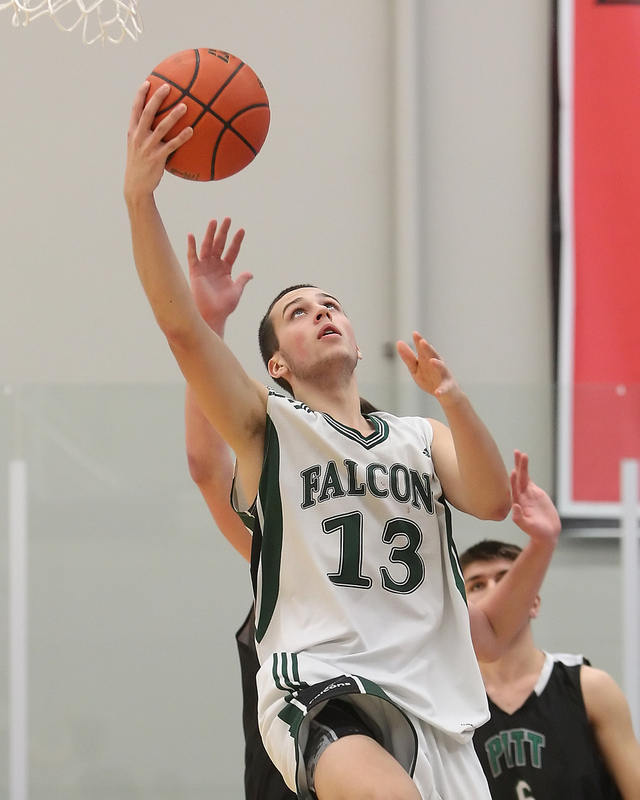 On the court, Curtis is known for his long range shooting abilities, winning several shooting contests, and has also taken home several All-Star awards including first team All-Star at the 4A Senior Boys Basketball Provincials in his grade 12 year. More importantly, Curtis was named the Most Inspirational Player at the RCMP Tournament. Eric has been a starter on the senior basketball team since grade 10, and his coach Kyle Graves says that "during this time he has proven himself to be a team leader, both in how he treats his team mates and in the work ethic he brings to practices and games." Eric averaged 25 points, 14 rebounds and 6 assists per game in grade 12. Not only is Eric a success on the court, but also in the classroom, maintaining a 4.0 GPA in his final year. Outside of school, Eric has volunteered with the Cheam Leisure Centre and Chilliwack Sports Academy for the past three and a half years. His work ethic allows him to thrive in any situation. Justin comes from the storied Kitsilano dynasty of highly competitive AAA boys teams under the coaching of Randy Coutts. At 6’1” he has played at the point guard position and shown exceptional leadership and intense devotion to self-improvement and the success of the school and club teams he plays for. In Randy’s words “Justin is a very conscientious and capable person, he is cooperative, enthusiastic, coachable and responsible”. In short he is the perfect candidate for the 2013 B.C. Boys AAA Quinn Keast Foundation Scholarship. Ravjot Dhaliwal is a member of the Class of 2012 at Tamanawis Secondary in Surrey, B.C. He has been a member of the provincial U-15 to U-17 teams and a captain of his school team for the last 5 years. He was selected for the 2012 QKF Scholarship by the Scholarship Committee of the BCHSBBA in conjunction with the Quinn Keast Foundation. Principal Margaux Molson: he is a young man of high integrity, deep loyalty, razor-sharp focus and, in addition to being passionate about basketball, he also values and knows the importance of strong academic achievement. There is no arrogance associated with this student athlete/leader and instead a genuine, soft-spoken young man who never misses school, always values punctuality, is identified by good work habits at a and takes his schooling very seriously. Everything about him speaks to his strong personal character and his willingness to learn. His teachers and coaches would say he is an excellent listener and, on the court, he knows how to communicate with his team and lead them to success. When I speak with youngsters I will use him as the standard for our young athletes. Spencer's Pitt Meadows Marauders finished 4th in the 2010 AAA Provincials where he was named a second team All-Star. As a point guard and team captain, he has solid leadership and ball-handling skills. He averaged 19 points per game in 2009-10 and was an All-Star at the Fraser Valley Championships. Spencer will move on to play for the University of the Fraser Valley Cascades. A guard-forward, Tommy shows great poise and understanding of the game. He is an inside and outside force with excellent versatility. Not only is he a skilled player but a solid student and accomplished musician (violin). As a complete player, he can pass smartly, score easily and rebound voraciously. He played on the B.C. Under-17 team and could play all 5 positions for the Blue Demons. The discipline required for both his athletic and musical endeavours and his accomplishments as a player are indicative of why he was chosen for the QKF AAA Boys Scholarship. Nick was chosen the Most Inspirational Player at the 2008 AAA Boys Provincial Championship as well as a First Team All-Star. He scored a last-second lay-up in the AAA provincial semi-final to put the game into overtime and a key 3 in the extra frame, for a game high 29, to advance the Warriors to the final. Those on-court heroics were fleeting for a young man who had honed his game at WRCA over 4 years as a member of the senior Warriors. Nick showed exceptional dedication to the team game of basketball and to his individual development. Colton comes from a basketball family based on a cattle ranch in the east KootenSpencer's Pitt Meadows Marauders finished 4th in the 2010 AAA Provincials where he was named a second team All-Star. As a point guard and team captain, he has solid leadership and ball-handling skills. He averaged 19 points per game in 2009-10 and was an All-Star at the Fraser Valley Championships. Spencer will move on to play for the University of the Fraser Valley Cascades.ay region of B.C. and attends Mount Baker Secondary School in Cranbrook, the only AAA school in the East Kootenay Zone. Having started playing in Grade 6, he settled in at the point guard position. An excellent student, Colton also volunteered as a coach. He is dedicated and hard-working both in his athletics and his academic pursuits and respected and well-liked by his peers and teachers. He was a captain and two-year starter for the Wild and their top scorer in 2006-7. Colton's character and accomplishments make him an ideal recipient of the inaugural Quinn Keast Foundation AAA Boys Scholarship.